Rumors are swirling that “Vol 4” may be the band’s last album. 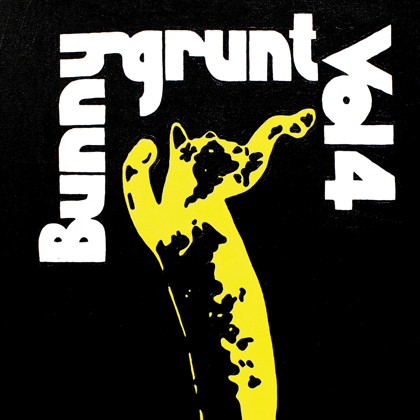 The deluxe pre-order includes lots of Bunnygrunt goodies (drink koozie, coasters, bottle-opener keychain). The album is available in three formats: LP/CD/CS. Act fast! City of Subarus, misstep or misunderstood? 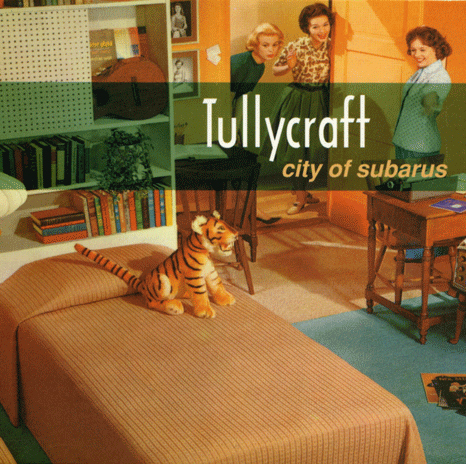 There are a few people in the world that truly love Tullycraft’s sophomore album, but for most folks who are familiar with our band, City of Subarus is often viewed as the hiccup in Tullycraft’s catalog. Over the years, this record has sparked much debate within the band. Was it actually a bad album and we were just too involved in the process of making it to realize it? Or was it a gem that simply lacked polish and refinement? I don’t think I’m in a position to truly answer these questions, but if you’re interested, here’s a (not so) short recollection of how this album came to be. After our debut album, Old Traditions, New Standards, garnered a bit of attention, we received numerous offers to release singles and to be on various compilations. This sounded like fun – and we ended up writing and recording more than an album’s worth of material to give away. Most of these songs were released on small labels in Germany, Japan, England, and the US – and the majority of them ultimately disappeared into the ether. At the end of this whirlwind, we realized we hadn’t written or saved a single song for our second album. We were starting to feel the pressure to release a follow-up to Old Traditions. This was when the writing and recording process for Subarus began. Chris Munford, whose band Incredible Force of Junior had recently split up, joined Tullycraft shortly before we started this project. The first Tullycraft album had been recorded in Olympia with Pat Maley, and as much as we enjoyed working with Pat, driving back and forth between Olympia and Seattle became a bit of a headache. Our newest band member, Chris, eagerly suggested that we record the album ourselves at his house. He owned a mixing board, some outboard gear and an Otari 8-track tape machine. Since we didn’t have much money to spend on recording, this sounded like a great idea. We all agreed we would self-record our sophomore album with Chris at the helm. Each of us had day jobs, so we rarely found time to get together during the week. I would record rough ideas on cassette, and on Friday night we would all meet at Chris’ house where we would play through ideas until late into the evening. This went on for a while. Eventually, we managed to string together ten new songs that we were all happy with. The new material was fun to play and most of the songs seemed different from the ones on our first album – which was exciting! Gary Miklusek, our guitar player who had previously played in the Pittsburgh band Wimp Factor 14, had a great deal of influence on these new songs. He introduced progressions and minor chords that I never would have come up with on my own. This would be the last record Gary recorded with Tullycraft. I can’t talk about Subarus without mentioning his enthusiastic influence on many of the songs. The next step was the actual recording. The biggest issue with most home recordings is trying to get a good drum sound. Guitars, bass and vocals can pretty much be tracked anywhere, but drums recorded in a dead room will sound terrible. Chris wasn’t convinced we could get a good drum sound in his living room. Before joining Tullycraft he had recorded the band 764-Hero in the backroom of a business in Belltown – one of the oldest neighborhoods in Seattle. The drum sound he got in that space was surprisingly good. There was something about the old architecture in that part of town that created an ideal acoustic environment for drums. Chris set out to find another business in that neighborhood that would allow us to set-up and record drums. He had some friends that had recently opened a café in Belltown called Cry Baby. They graciously gave us permission to record in their shop after hours. Over the course of three very late nights we set-up and tore down a make-shift studio in the in the Cry Baby Café. During these nights Jeff and I managed to record (what we considered) usable drum and bass tracks for all of the new songs. We took these tracks back to Chris’ house and began the overdub process. In addition to vocals recorded by Chris and myself, Jen Abercrombie from the Los Angeles band Rizzo contributed vocals to many of the songs. Since we weren’t in an actual recording studio, and time wasn’t an issue, we ended up trying all sorts of crazy things. No recording technique was too outlandish. No idea was met with criticism. All cooks were welcome in the kitchen. We threw everything at the wall, and before we knew it the entire project had become a bit of a mess. If we were smart, at this point we would have taken all of our tracks into a real studio and worked with an outside engineer to help us make sense of it all. But we didn’t. Instead, we mixed the album ourselves, attempting to assemble all of our recorded scraps into actual songs. This process took a couple weeks, and in the end I think we were all fairly happy with the mixes. As a whole, the finished album sounded kind of chaotic, but at the time, I think we were all excited by that. The consensus was: “We made a crazy record! No one can say we just rehashed and regurgitated the Old Traditions LP.” At least this was what we thought at the time. The reviews certainly raised questions, but we took each of them with a grain of salt. In April 1998, Tullycraft embarked on a cross country tour in support of Subarus. Much of this tour was with our good friends Bunnygrunt. It hadn’t really occurred to me that the album wasn’t being received well by our fans until the second week of the tour when Karen from Bunnygrunt said in passing: “It’s not a big deal. A lot of bands record a second album that isn’t very good. It’s called the sophomore slump.” “Wait,” I thought, “Our album isn’t very good?” It was true record sales at shows weren’t as good as they had been in the past, but I attributed that to Darla’s excellent distribution. The album was actually finding its way into record stores, and I assumed people were buying it there. Surprisingly, until that moment I had never considered the notion that we may have released a bad record. Despite the album’s mixed reception, many of the songs on Subarus became mainstays in the Tullycraft live set for years. I think we all just enjoyed playing those songs. “8 Great Ways” and “Miss Douglas County” are certainly the two songs we performed the most, while “Belinda,” Ticket Tonight,” and Godspeed” would also regularly find their way onto set-lists. And, on rare occasions, we even kicked out the slow song “Actives and Pledges.” Jenny pushed to include “Bee Sting Stings” numerous times, but I don’t think that one ever actually made the list. Sorry Jenny. I still have mixed feelings about this record. I have great memories of writing and recording these songs with my friends, but in hindsight, a couple of the recordings didn’t turn out as we had hoped. “Miss Douglas County” was an obvious train wreck. I love playing that song live, but the version that appears on the record is a total mess. We really should have re-recorded that track. City of Subarus certainly had its issues, but is it fair to call it a bad album? Chris and I have been known to argue both sides of this fence. Sometimes I think that the record was simply a bit too rough around the edges for our audience at the time and perhaps it was misunderstood. Other times I think that maybe my songwriting tank was empty and I was running on fumes after recently giving away so many songs. Who knows? Here are the songs “Ticket Tonight” and “Godspeed” from the album City of Subarus. 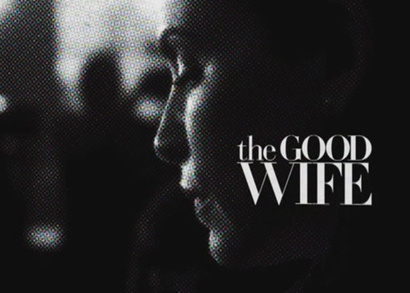 We just got word from the music supervisor of The Good Wife that Tullycraft’s upbeat cover of a New Pornographers song will not appear in tonight’s episode. It was decided that something more emotional was necessary for the scene. Unfortunately, due to legal restrictions, we are not allowed post the song (or any portion of it). Since it was recorded specifically for the show it is officially the property of CBS. I guess it will become the ultimate Tully-rarity.